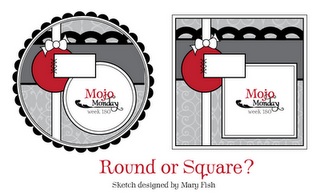 It's a combo deal today, bloggers, with the Mojo Monday sketch challenge and the Close To My Heart March Stamp of the Month Blog Hop. 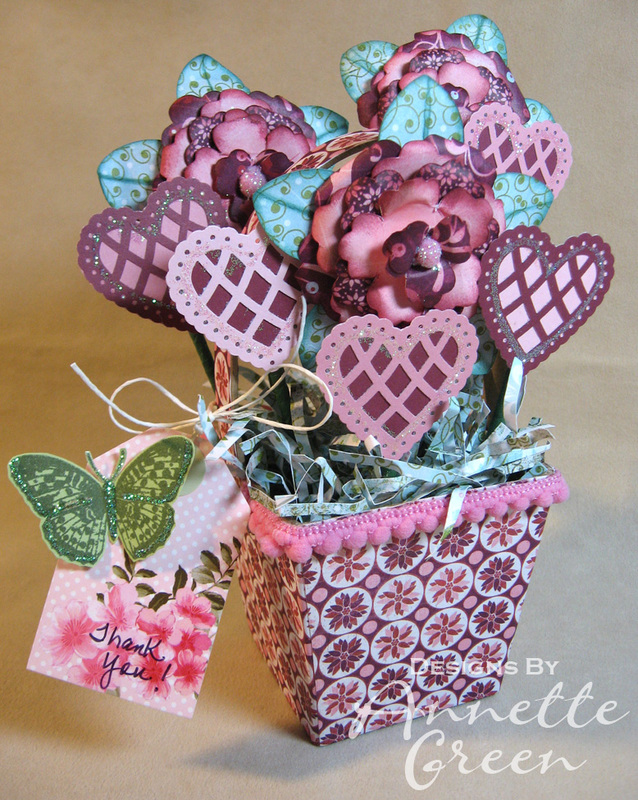 This month's blog hop includes over 50 consultants' designs using the "Sensational Season" Stamp of the Month stamp set. What a great way to see the versatility of this adorable set. You can view all the images in this set in the right column of my blog. Now on to the hop! If you're already hopping, you've come here from Lori Brown's blog. 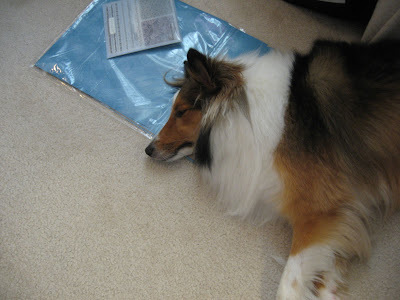 To see where to go next, just scroll through my post to the end, leave a comment (I love those!) and then click on the link. 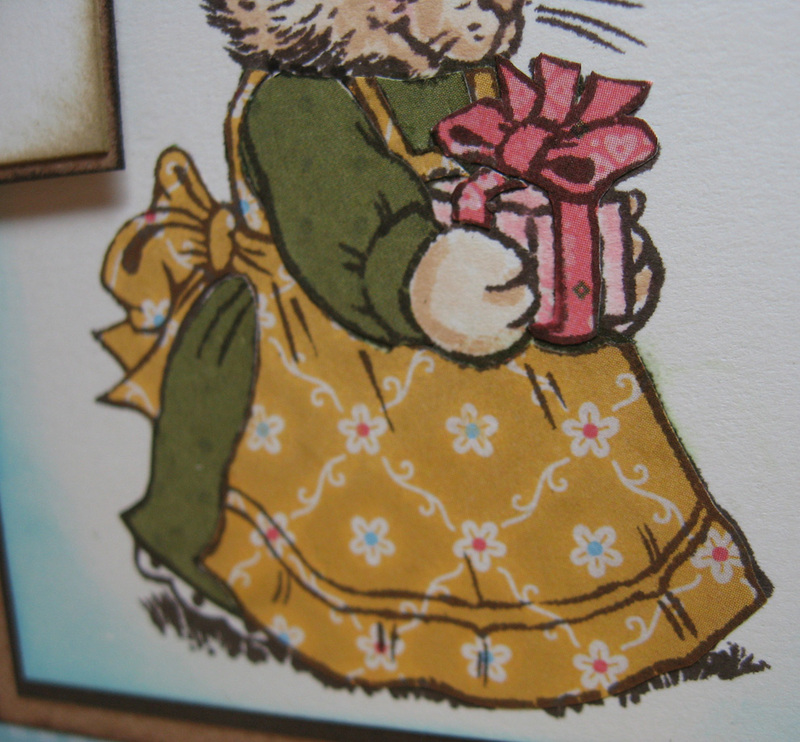 Then I followed up with markers for the rabbit, using Vanilla Cream and Parchment, plus a little Baby Pink for her ears. 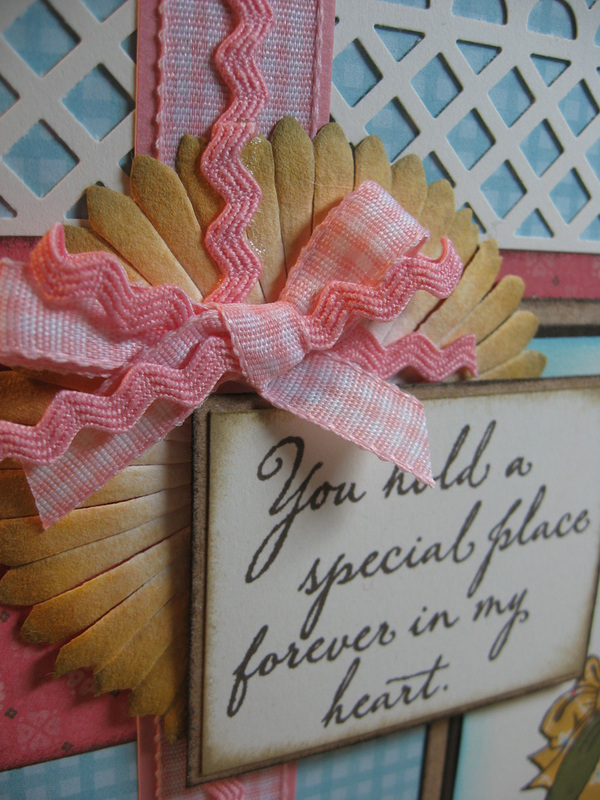 The ribbon in the background appears to be wide gingham but is actually two pieces of Blush gingham (the same as the bow) butted together and covered with the Blush ric-rac. (Blush ribbon collection is now retired, sadly.) The flower is is from the Spring Blossom collection of paper flowers which I sponged color over to coordinate with the card. To finish off the card, I stamped the basket and eggs and colored them with markers. I was enjoying this stamp set so much, I just had to make something else. I thought I'd go in the direction of "Baby" rather than Easter for my next design. 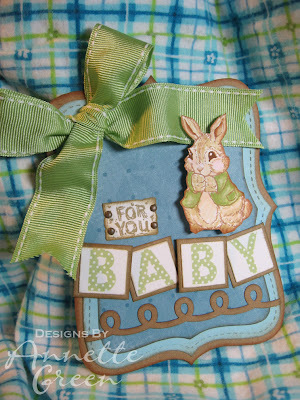 I decided on a tag, which might be nice attached to a baby gift. 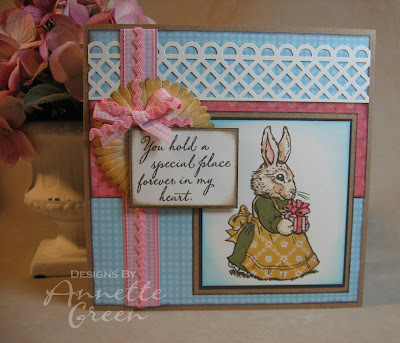 I just love this sweet little bunny on this one. 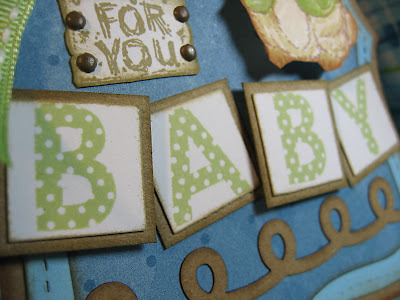 I utilized Close To My Heart's new Kraft cardstock and borders, along with the new Polka Dot Alphabet and Sweet Leaf 1-inch wide stitched grosgrain ribbon. and I just didn't have the heart to wake her, she looked so sweet and content there. Thanks for stopping by. 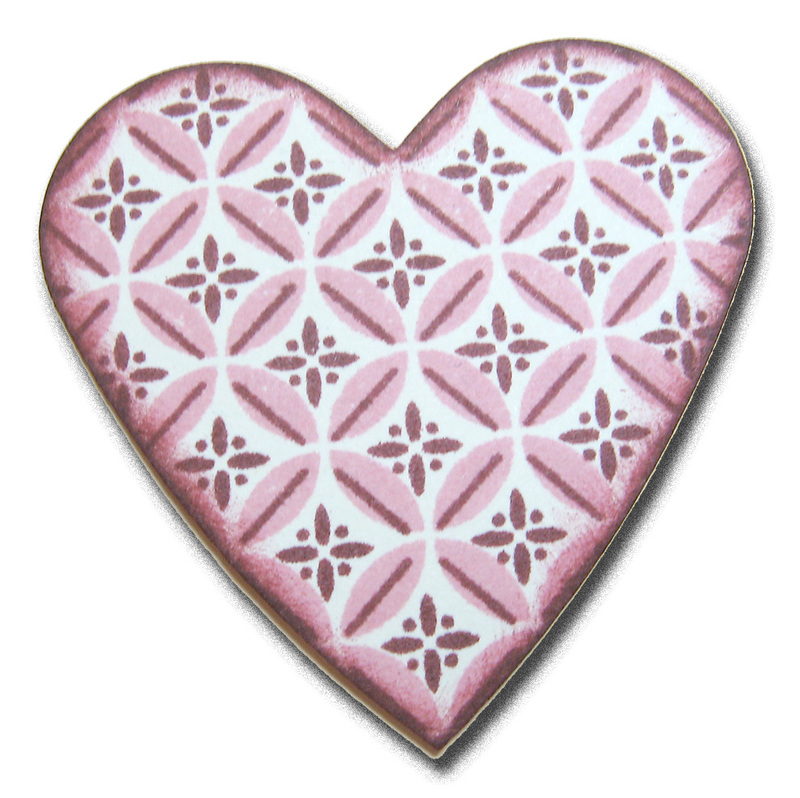 As always, all Close To My Heart products listed are available to order here. I appreciate comments if you liked what you saw. Now keep on hopping and check out what Carla Ironside has dreamed up with her Stamp of the Month. Quite a while ago, fellow CTMH consultant Haley Dyer made some cute bookmarks from large paperclips. 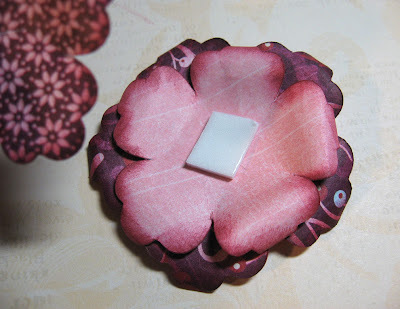 I have stored away her project in my "Ideas To Try" folder and decided this would make a great project for Frugal Friday. It all starts with a super jumbo paper clip which I found at my local Office Depot store. You get a bunch in a box for a few bucks. 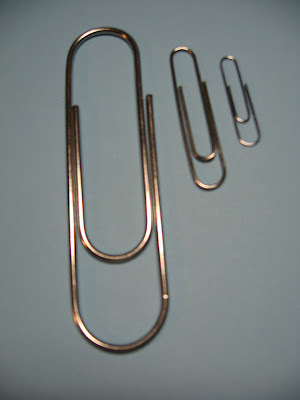 Just so you can see how large these are, I placed a regular paperclip and a big paperclip next to this super jumbo one. 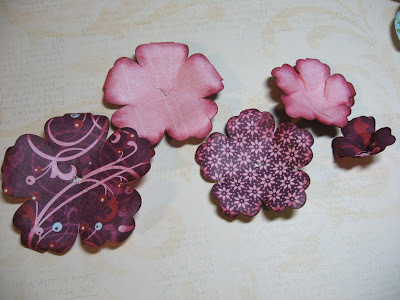 In my stash of chipboard I had lots of these flower shapes that are now retired from CTMH. 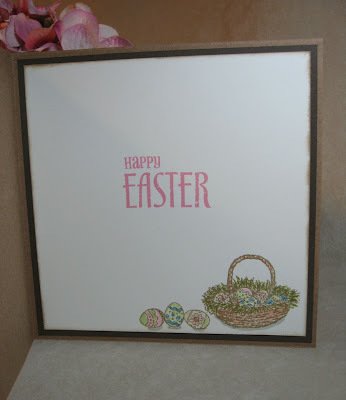 You don't have to use chipboard, but they are nice and durable. 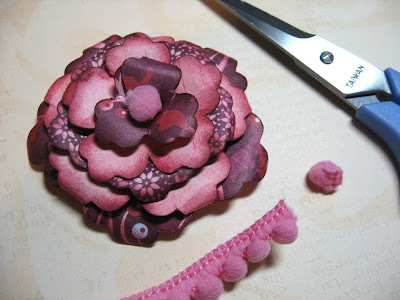 (I think Haley used paper flowers, which were really pretty.) 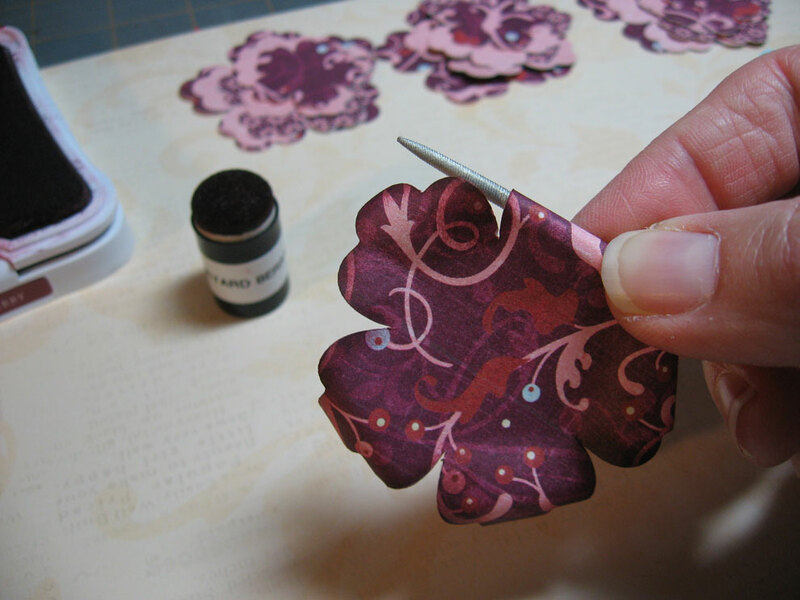 I laid them on a blotter and inked color over the fronts and backs of each one with a sponge dauber. 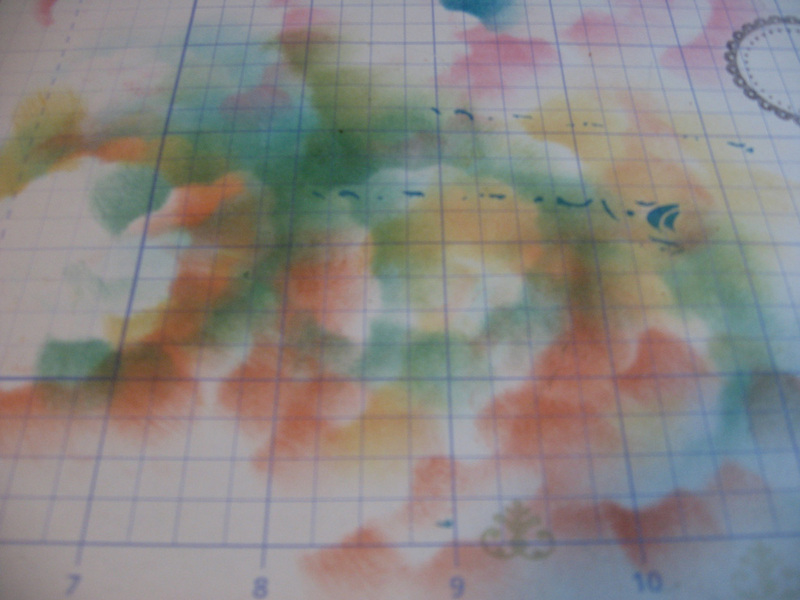 I love how my blotter looks after finishing all of them, don't you? I used a few different stamp sets to stamp the background, the circles and the phrase, then added some simple grosgrain ribbon with a double knot. 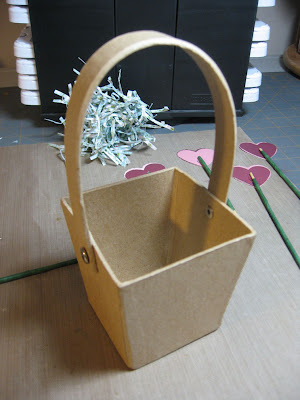 I used E6000 glue to adhere the chipboard to the top of the paperclip. That stuff will hold forever! I made a dozen of them pretty quickly. Now I have a nice little gift to give my Cherish Club girls tonight. Thanks for stopping by. Try something frugal and fun today with your stash! Super quick post today. 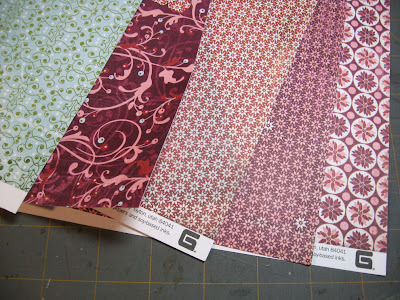 I didn't want to forget to post my samples using the beautiful new Bohemian alphabet. Thank you Dawn for reminding me that Close To My Heart introduced not four but FIVE new alphabet stamp sets this season. 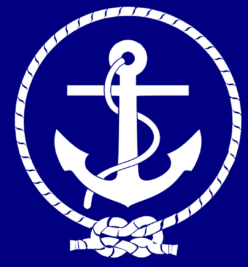 The one I forgot to mention was the fun Pennant Alphabet which I don't yet own, but it's on my wish list. The Bohemian Alphabet works so nicely on feminine pages like this. I added some Liquid Glass over the decorative swirls in the letter U for some added shine. Thanks for looking. I'm late...! Gotta run!!!! This week's Frugal Friday item is this clear, plastic bottle from my local craft store for 67 cents. I found them on the aisle with colored sand crafts. I put my hand in the photo so you can see the size relationship. 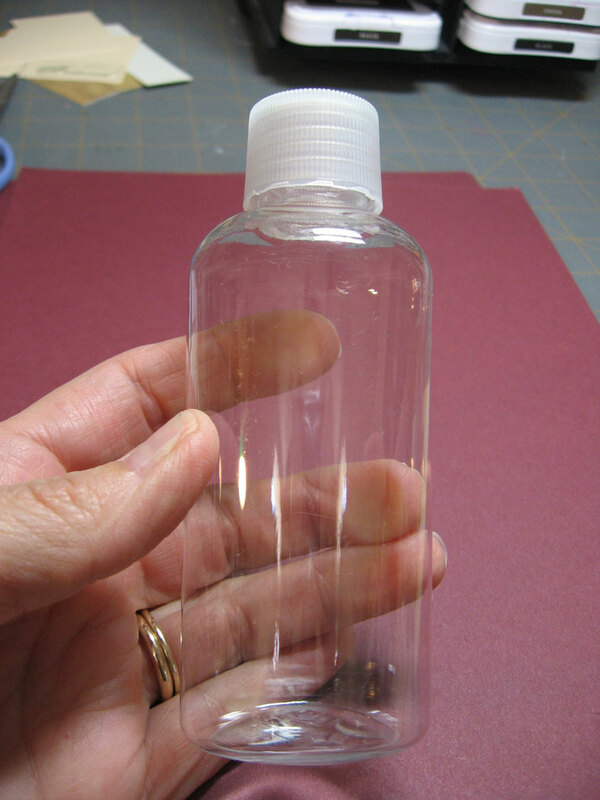 They are about the size of a large pill bottle, and although they appear like a round cylindrical shape, then are more oval therefore looking more like the pill bottle I had in mind. 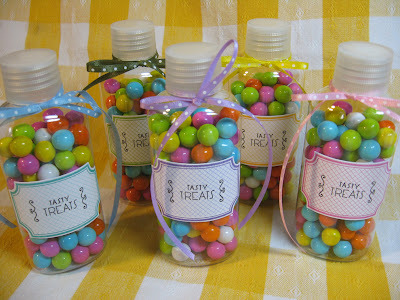 Then I went on the hunt to find small round or flat candies that looked like pills. Aside from those mini M&M's the best I could find were these Sixlets at WalMart. 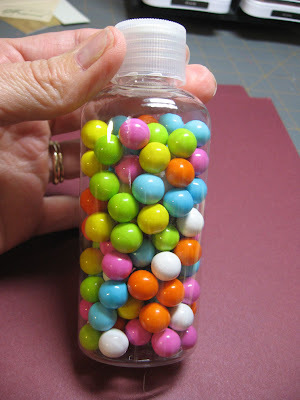 I think they look more like mini gumballs. I would have preferred M&M's but they only had the primary colors and I wanted more Spring colors. One bag of Sixlets cost $2.68 and filled these five bottles perfectly. 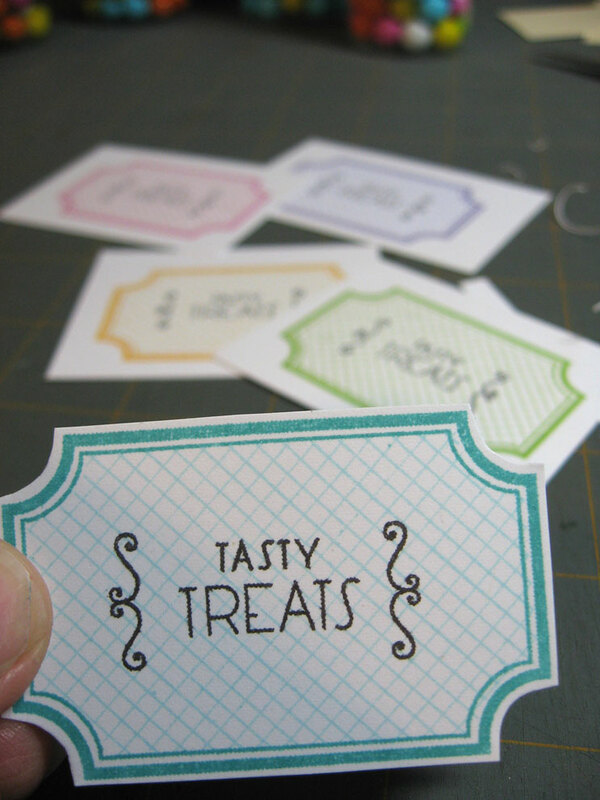 I wanted to make a label that looked like something on a pill bottle, or perhaps in an old-fashioned candy store, so I pulled out my "Tasty Treats" stamp set (D1427) from Close To My Heart and stamped five different colored labels and cut each one out. Using CMTH's Bonding Memories glue, I stuck the labels to the candy bottles, added some coordinating ribbon and now I have some cute little gifts to give out to my Cards & More Club girls tonight. Thanks for stopping by. 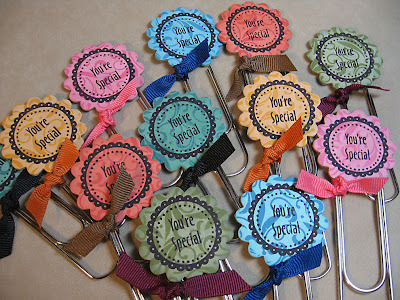 Enjoy your Friday making something creative with cheap stuff! 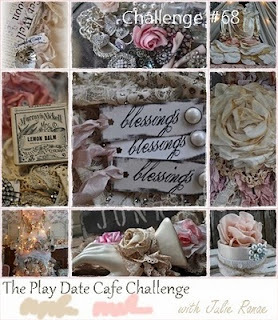 I needed some color inspiration this week to create a papercrafted purse and what better place to go than the Play Date Cafe? So full of shabby chic goodness with ribbons, lace and pearls in the color palette of pinks, creams and tans. So pretty! And perfect for my purse. 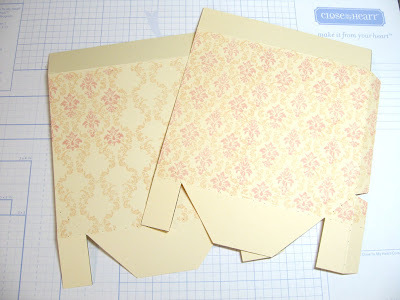 I love templates and particularly those from My Time Made Easy, because they are so easy to print, cut and assemble. 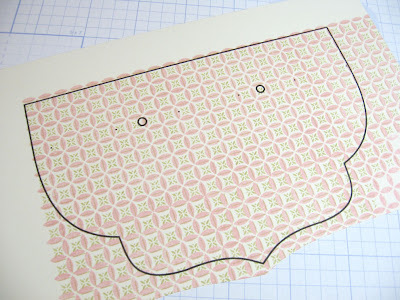 And once you purchase and download the digital template, it's yours forever! 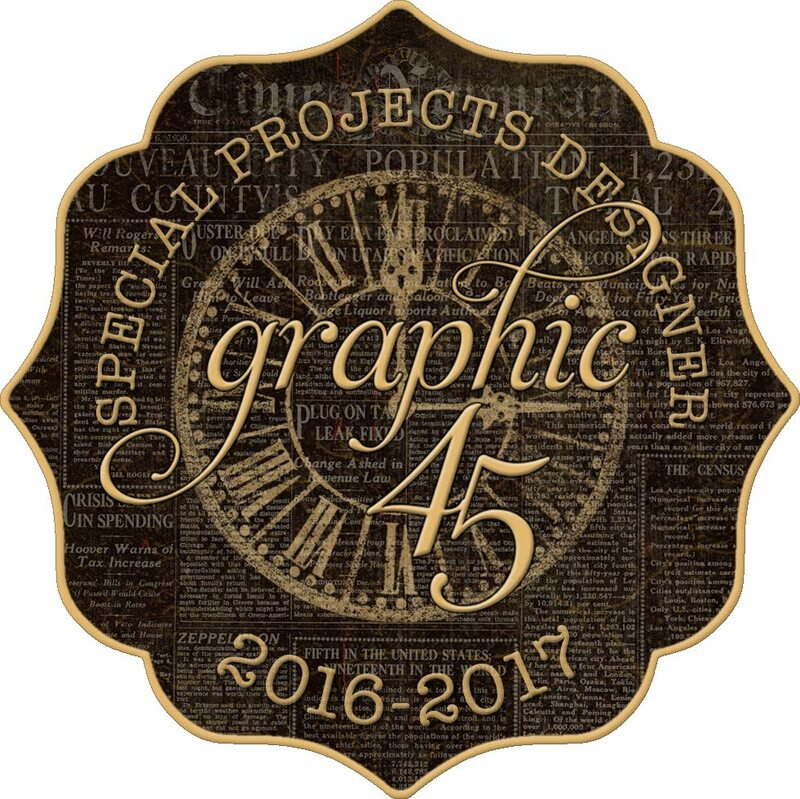 Be sure to check them out when you get a chance. 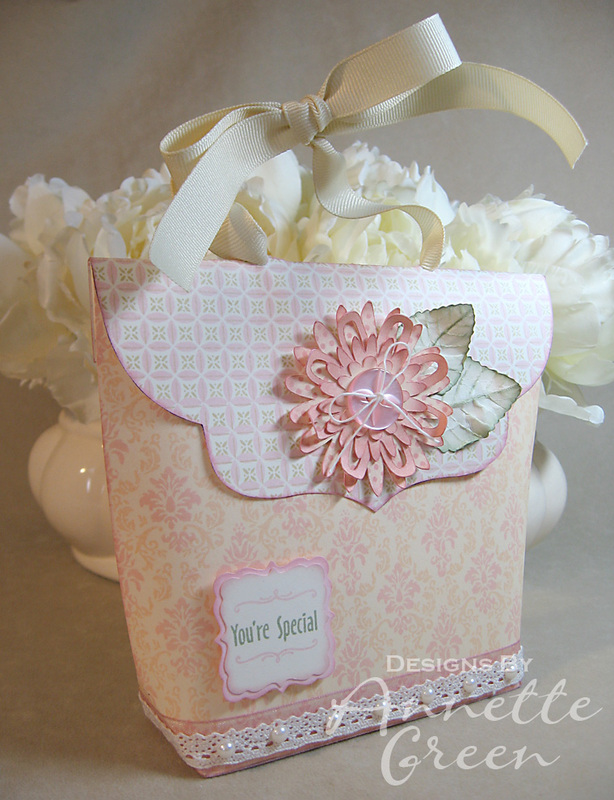 This template is called "Tote-All Package" in the Pretty Packaging category on their website. I printed out the base template of the purse right onto Vanilla Cream cardstock, and printed the purse flap onto Colonial White. 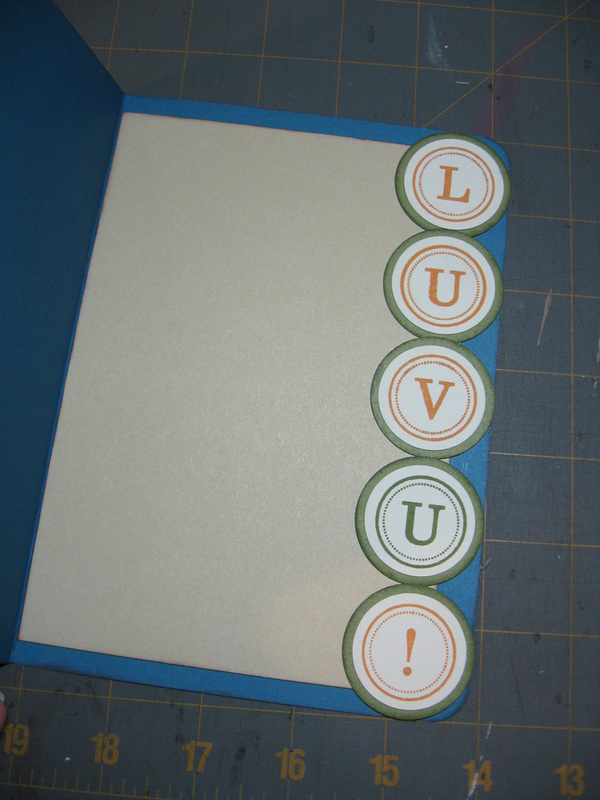 Then I got busy stamping. 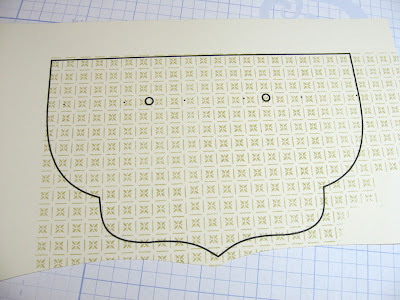 (For the purse base, you need to print out the template twice.) 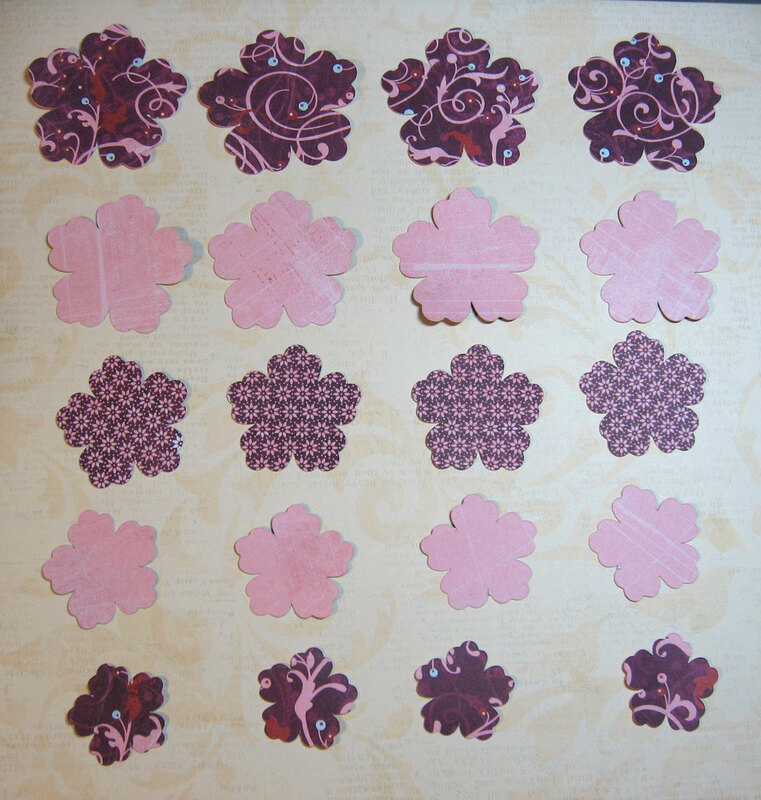 I used Parchment ink with this pretty damask pattern stamp from the Close To My Heart stamp set called Two Step Backgrounds. (D1473) The set is called "two-step" for a very good reason. The example on the left is the actual stamp. The example on the right and stamping that image in a step and repeat fashion. Now here's the really cool part. 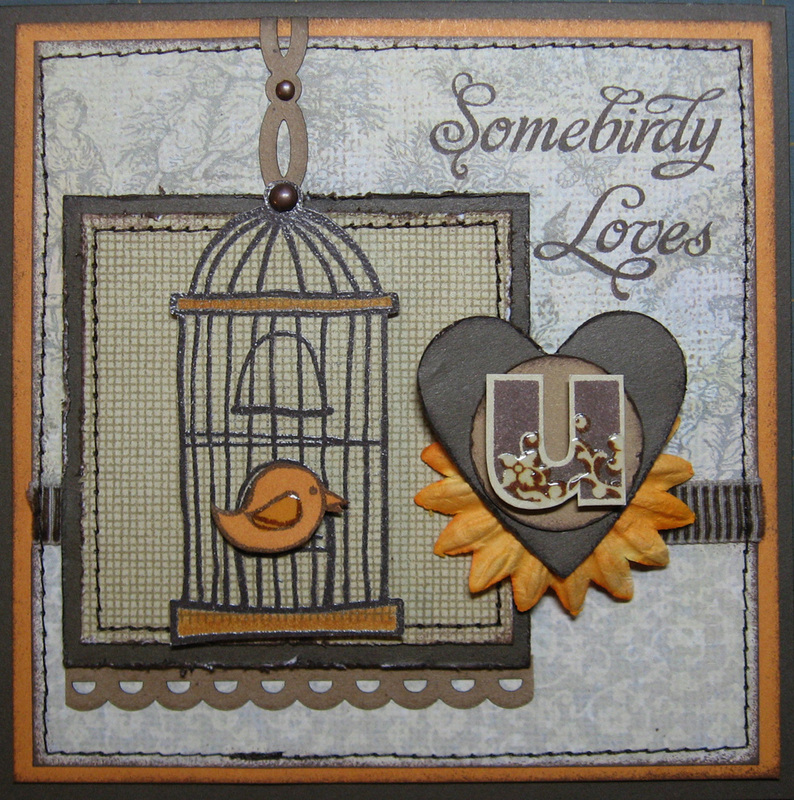 Close To My Heart designed these stamps to work together in this set. There are four beautiful patterns and I used all four on this purse. 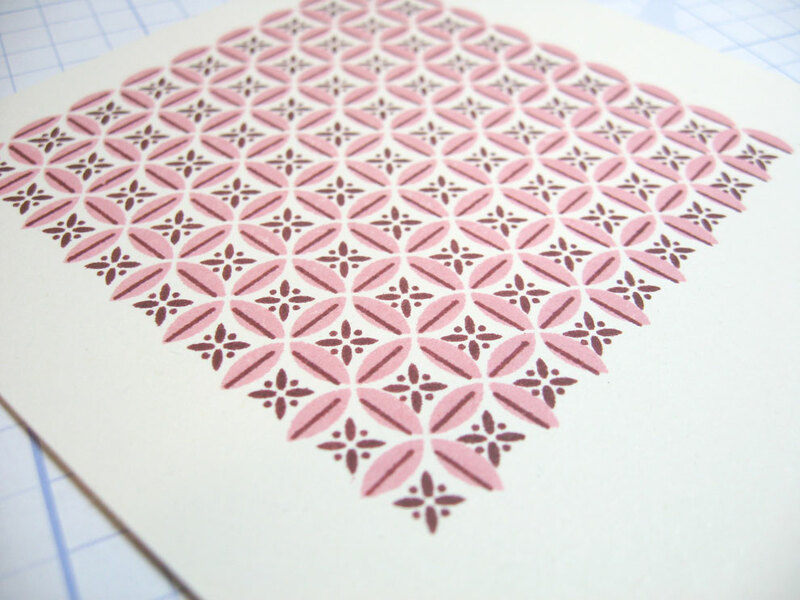 This example is the inner damask print stamped in Baby Pink. 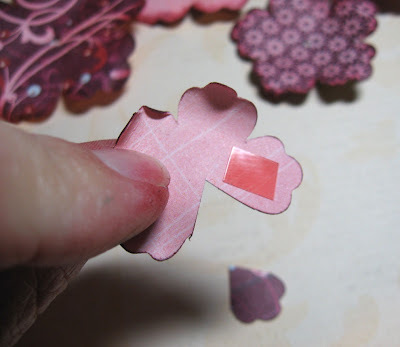 Thank goodness for clear stamps because this step would be impossible with wooden blocks! 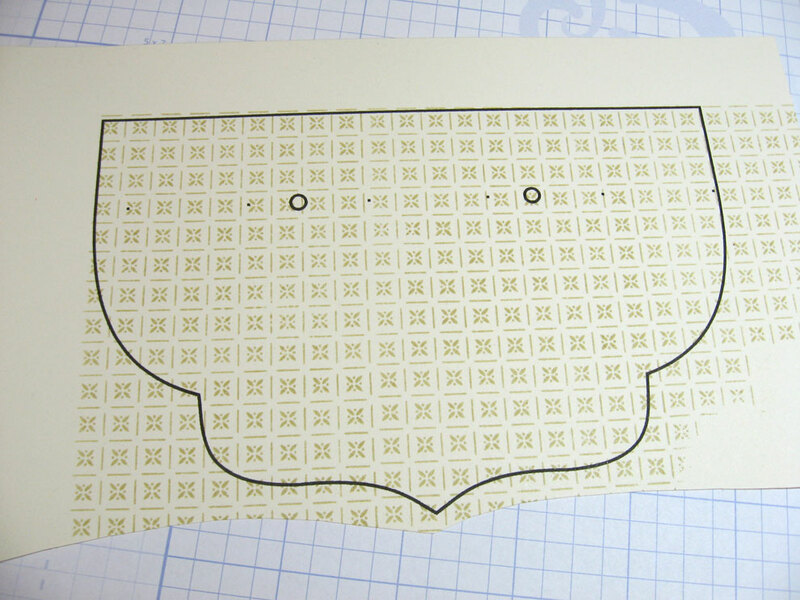 For the flap of the purse, I stamped this pattern with Bamboo ink, stepping and repeating once again. Then I used Baby Pink for the other pattern stamp. Let's take a closer look at how these stamps are designed for the perfect stamp and repeat technique. See how the left and bottom edge of the image are not complete? 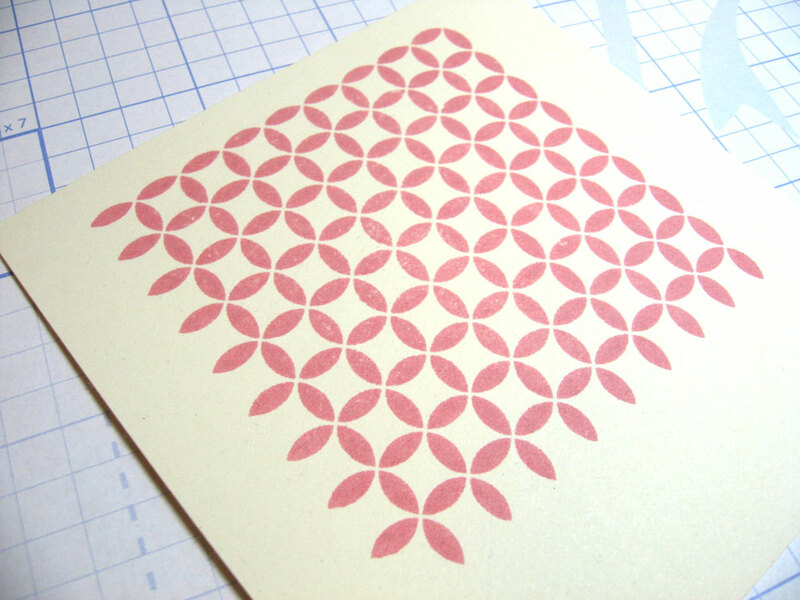 This makes it super easy to stamp the next time. 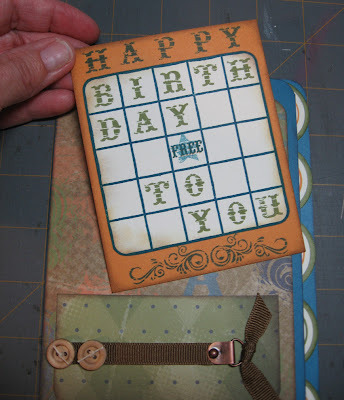 Just look right through the stamp block and match up the edge and stamp again. 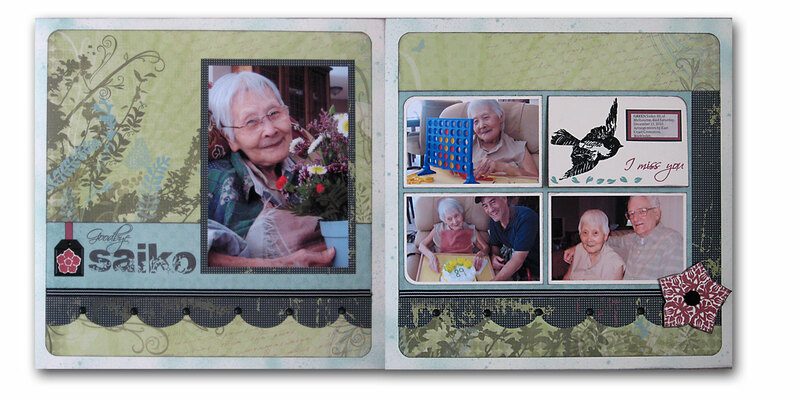 The same thing goes on all four of these stamp images in the set. 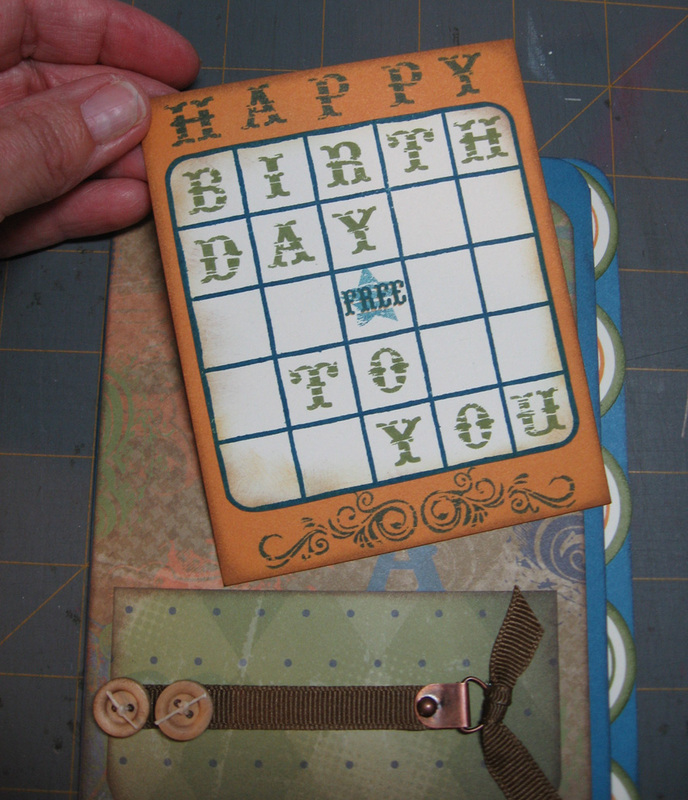 One edge is "open" to keep on stamping. 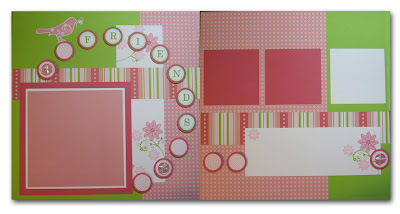 What fun this set is to play with, trying all sorts of color combinations! 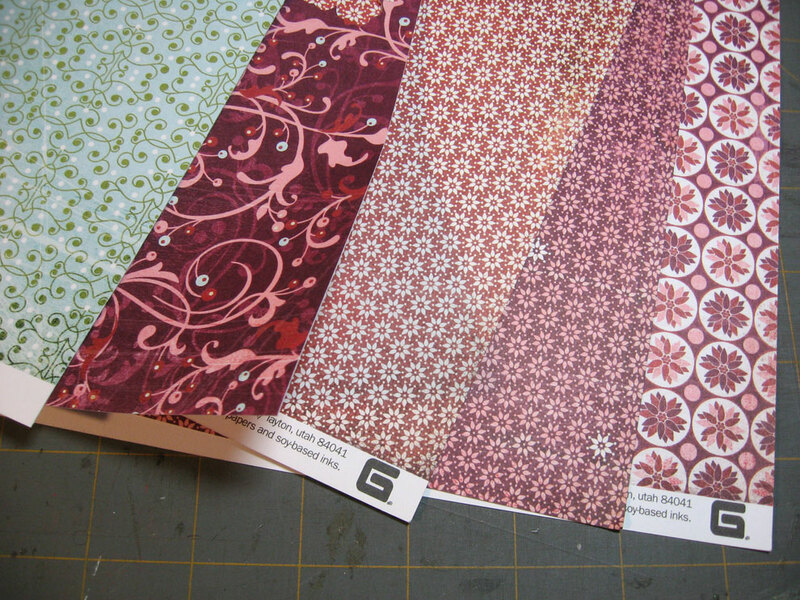 You can create your own custom pattern paper in a jiffy. 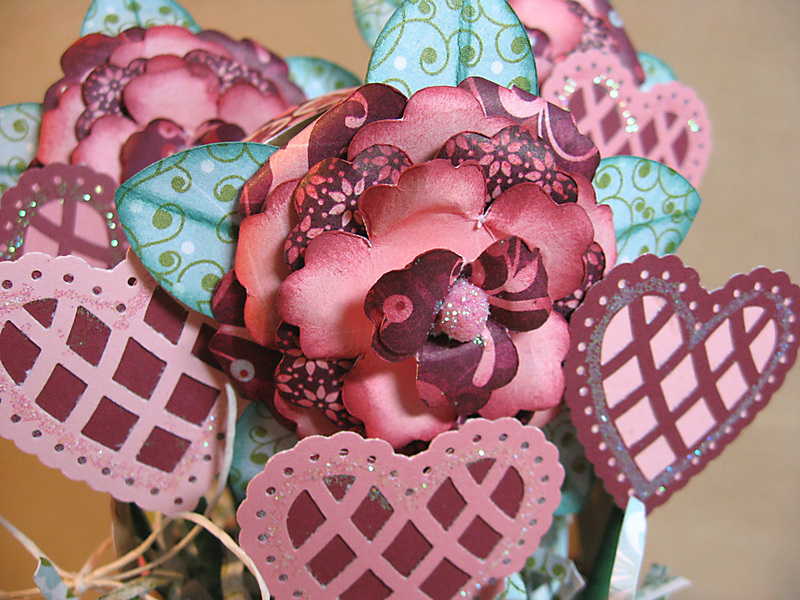 I am having so much fun with my Cricut cartridge called Mother's Day Bouquet. 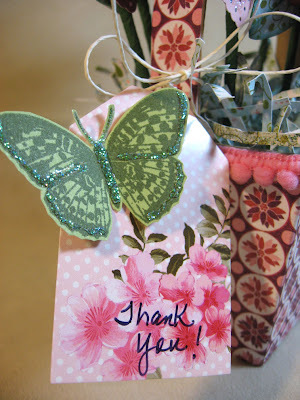 (See my earlier post from Frugal Friday where I show you how to make a fun floral arrangement.) 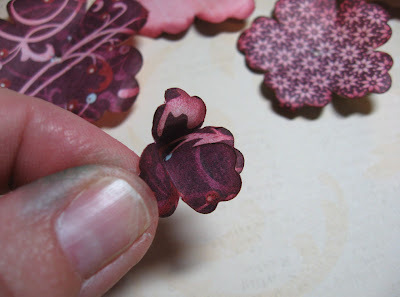 Above is an example of layering several different flower shapes. The leaves are on this cartridge also. I am really getting a lot of use out of this one. 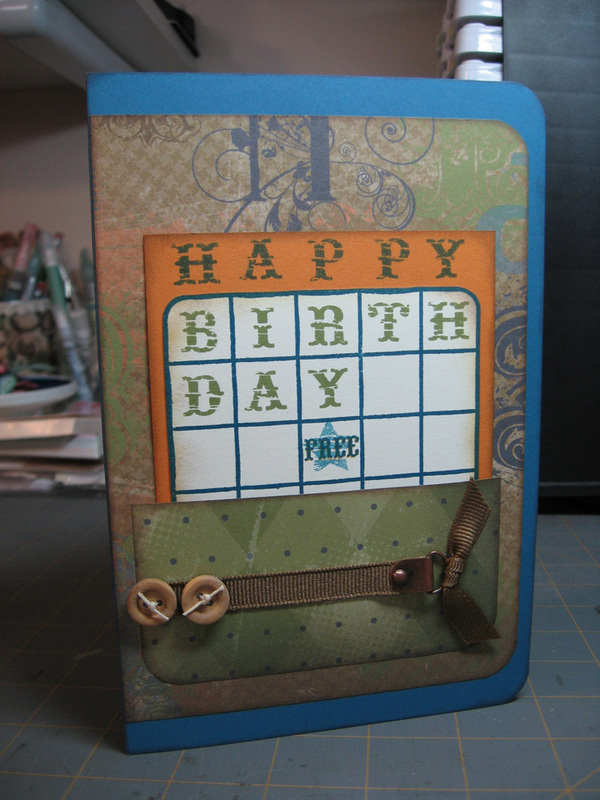 This pretty two-layer tag is a QuicKutz die set that I've had for a while. 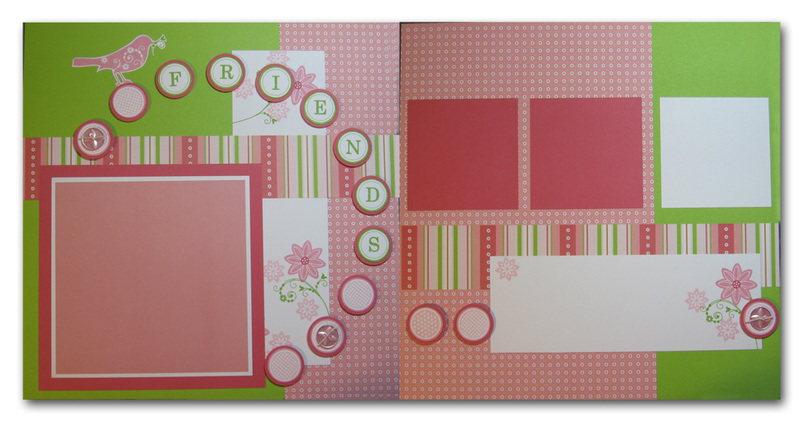 The stamp set is called "Fringed Phrases" from Close To My Heart and I used Baby Pink and Garden Green inks. 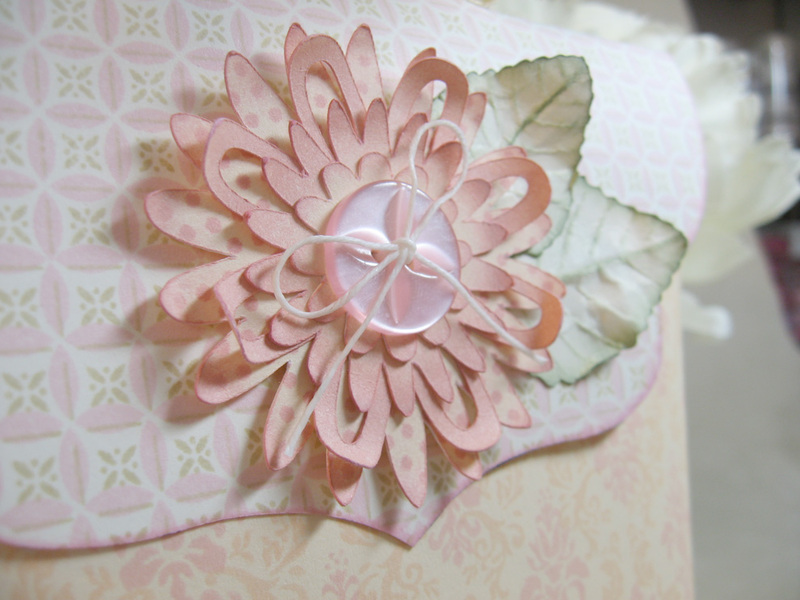 I finished off the purse with some pink organdy ribbon, creamy lace, and some adhesive pearls. It's Frugal Friday once again. 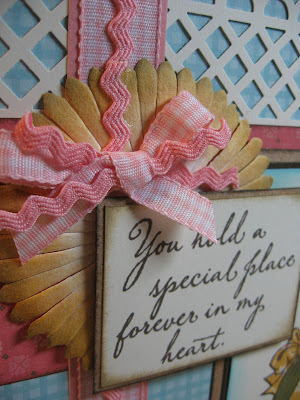 This is when I take a one or two dollar item along with supplies in my scraproom and show you how to create something pretty enough to give as a gift. 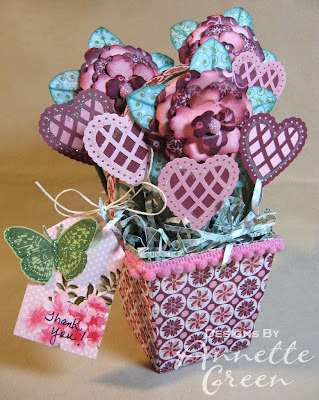 I decided to create a paper flower arrangement in a little basket. Recently Tamra was showing me a talented consultant's blog (Diane Tuggle) that inspired her. 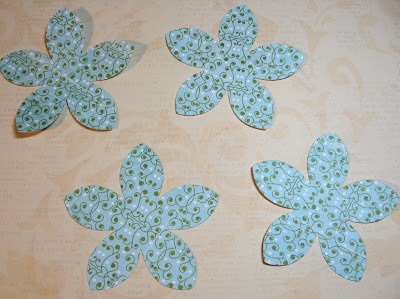 (Be sure to check out Diane's post where she made beautiful paper flowers for a scrapbook layout.) 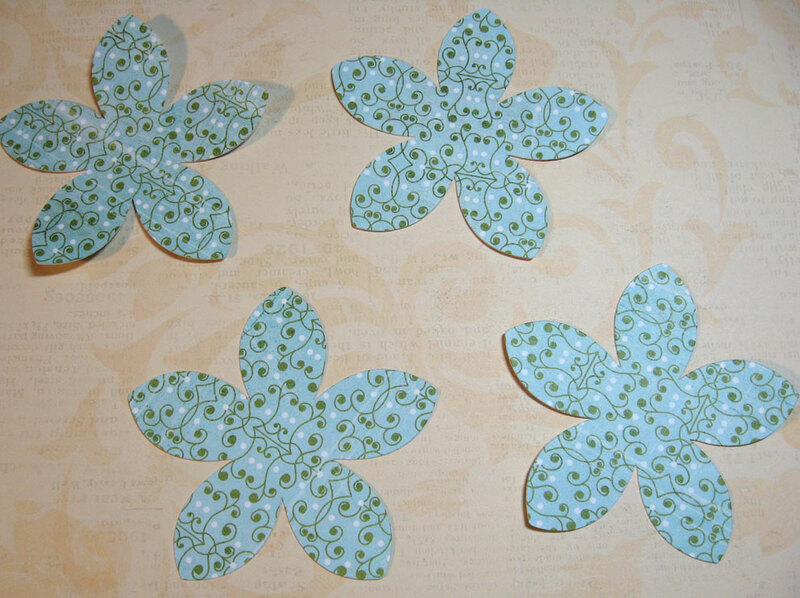 I knew that Tamra doesn't like wine and would love something handmade with those paper flowers so I got busy. 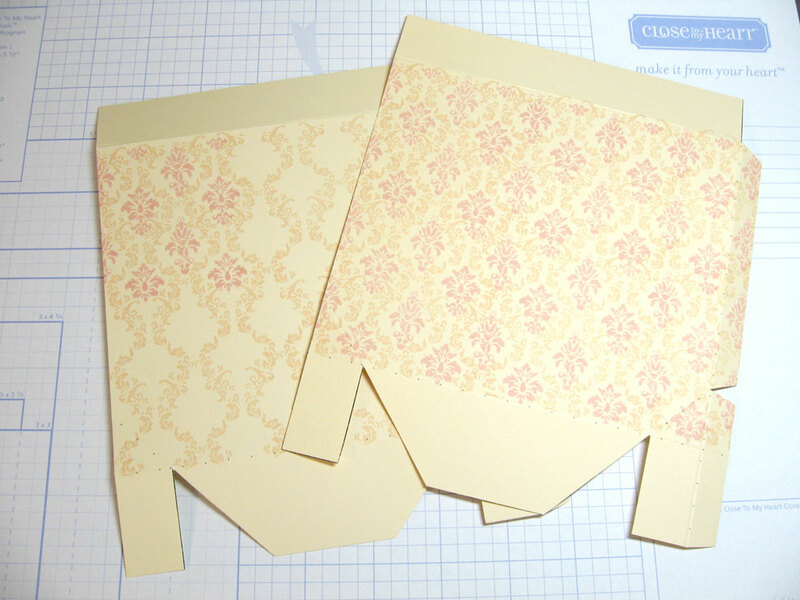 ...and some Basic Grey paper I got for FREE in my box of stuff I ordered from an online store. What a nice surprise! If you know Basic Grey paper, you know that it's wonderful. 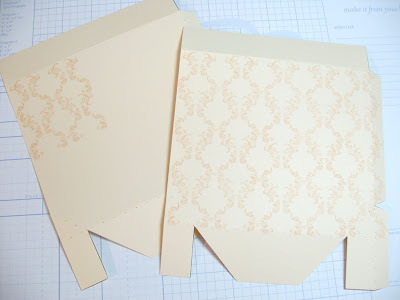 Two-sided designs. 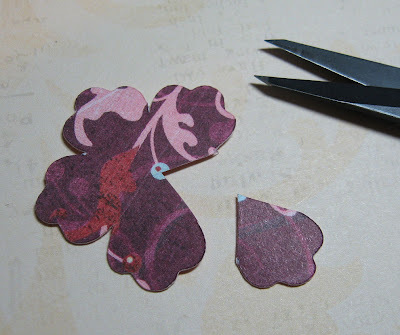 Perfect for making paper flowers. 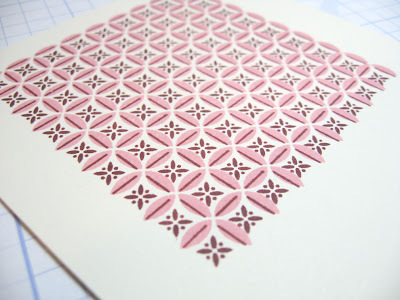 You might also know that this particular paper is Christmas paper called "Eskimo Kisses". 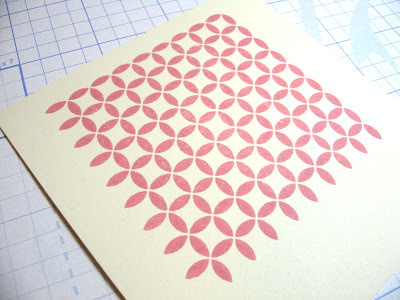 The only thing that really makes it seem like Christmas paper are the little flower prints that resemble poinsettias. I simply liked the colors! 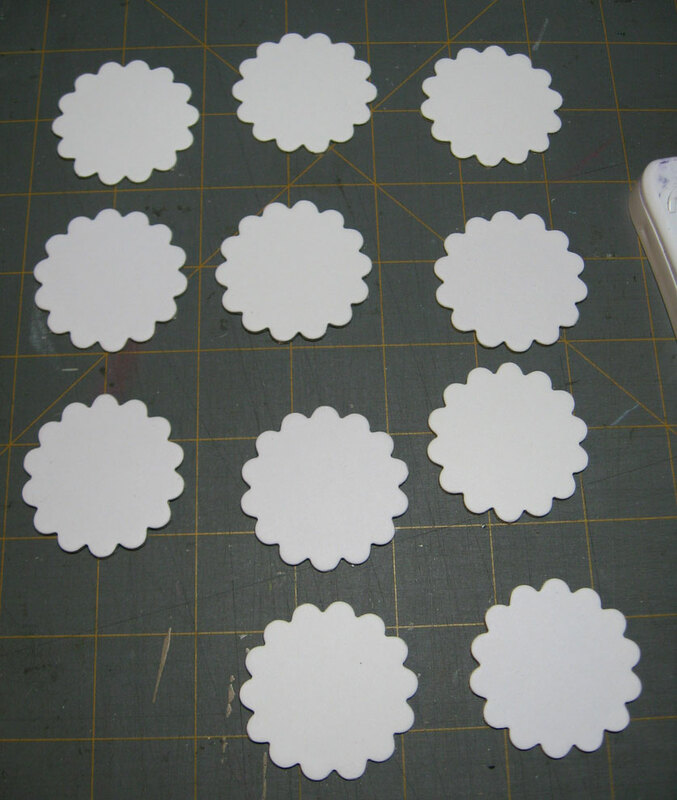 I got busy cutting out these flower shapes on my Cricut from the Mother's Day Bouquet cartridge. The largest flower is 2 1/4 inches and they all get smaller by 1/4 inch after that. I cut out this flower shape just like Diane did for my leaves. I inked the edges with Vineyard Berry and then curled the petals under a little with a finishing file. 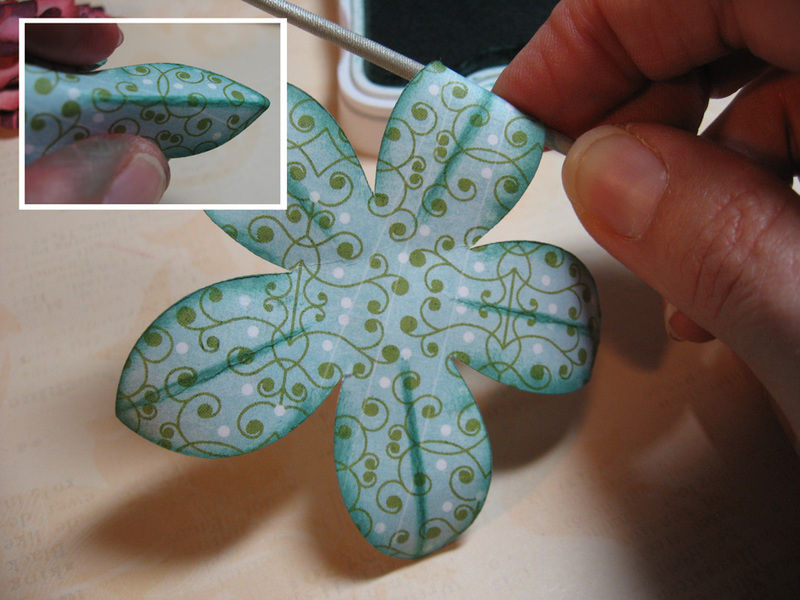 I inked the "leaves" and then folded each leaf slightly so I could ink across the middle like a vein. See the inset photo. and stuck that petal to the petal next to it, making a nice little cupped flower. I used thick foam tape to add some dimension when assembling the flower layers. 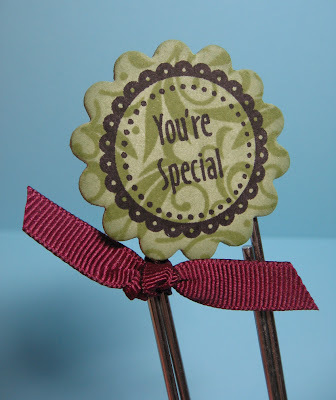 For the center of the flower I snipped off a pom-pom from this ribbon. Eventually I added some Prisma Glitter to the pom-pom. I glued the flower to the "leaf" base which you will see in the full photo. I took my fun Martha Stewart fringe scissors and cut along the blue and green paper. 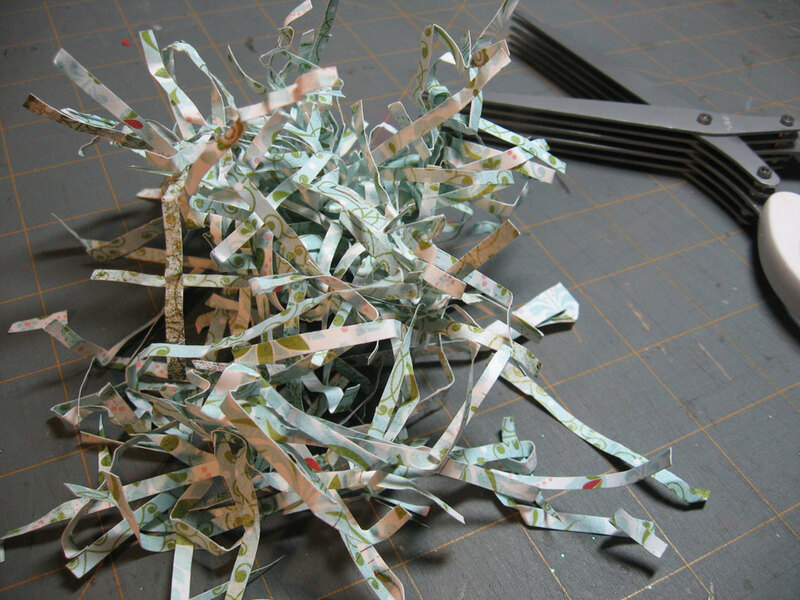 I crumpled it all up. This makes the perfect grass for my basket! I covered the box and handle with some remaining paper, then more of that pom-pom ribbon around the top of the basket. I forgot to mention that I created the hearts with my Martha Stewart punch. These served nicely as fillers in the basket. 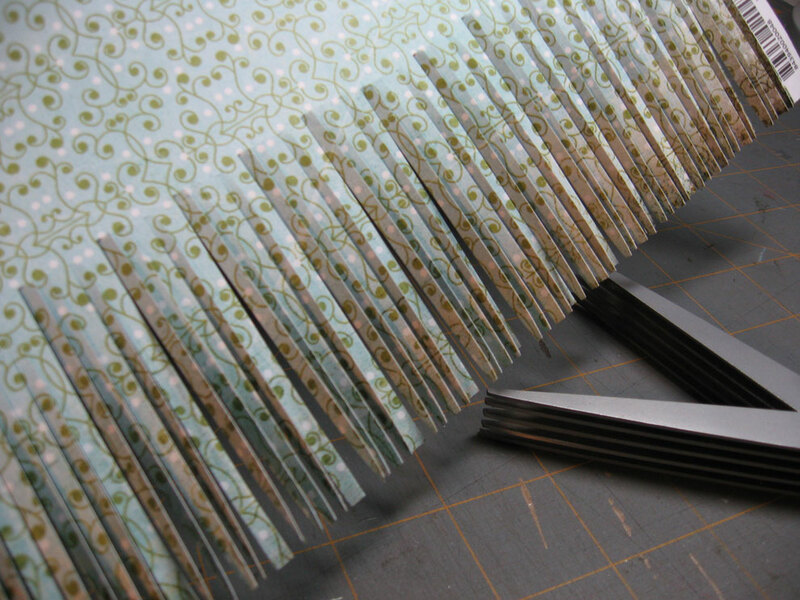 I used bamboo skewers covered in green floral tape for all the stems. 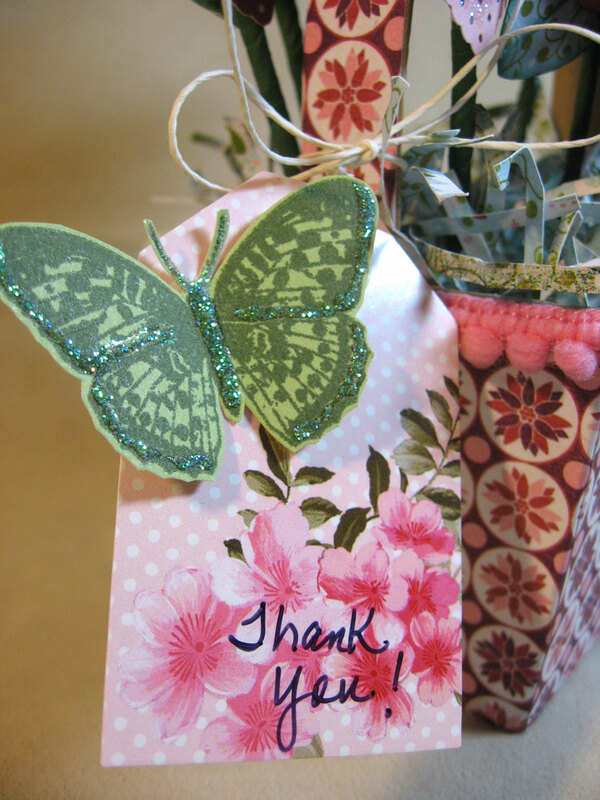 I finished it off with this cute tag and a stamped butterfly tied to the handle with some white twine. This project took me a few hours, but wasn't difficult at all. A few TV shows and a phone call to Mom and it was done! I think Tamra will like it. 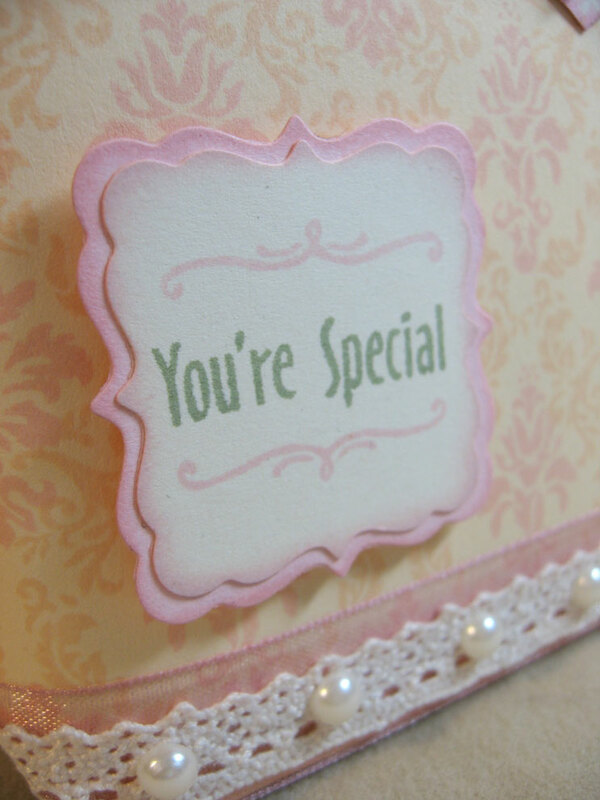 It certainly passed the test of my 13-year-old daughter who thinks scrapbooking and cardmaking are suddenly so uncool. She came home from school today and took one look at it and was raving about how awesome it was.